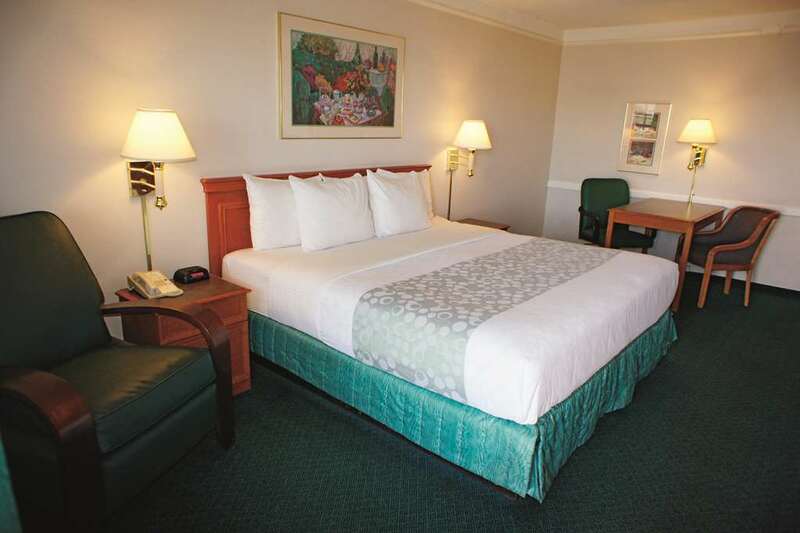 The La Quinta Inn Reno is conveniently located 1/4 mile from the Reno-Tahoe International Airport, minutes from Virginia Street, the historic Reno Arch, major casinos, the National Bowling Stadium and the Reno/Sparks Convention Center. Visit the National Automobile Museum or play over twenty challenging area golf courses. There are several restaurants nearby and shopping at Meadowood Mall. From here, reach Lake Tahoe ski and recreation areas and historic Virginia City in one hour. Guests rooms at the La Quinta Inn Reno are spacious with wide-open floor plans, and come with several amenities such as free high-speed Internet access, a coffee maker, hair dyer, and iron w/ironing board. Refrigerators and microwaves are available in our king plus rooms. We have a heated outdoor swimming pool (seasonal) for your enjoyment. Our courteous staff sets out a Free Bright Side BreakfastTM that includes fresh waffles every morning. Located south of Interstate 80 off Highway 395. Perfect for visitors to the University of Nevada Reno, IGT (International Gaming Technology), and Naval Air Station Fallon. We provide shuttle service to the airport and the Grand Sierra Resort & Casino. Stay and Go Package parking rates, and RV/Trailer or oversized vehicle parking is also available.